Everton legend and current TV pundit Graham Stuart seen here with Rachier. “It was great to make the trip over and be a special guest representative at the final. 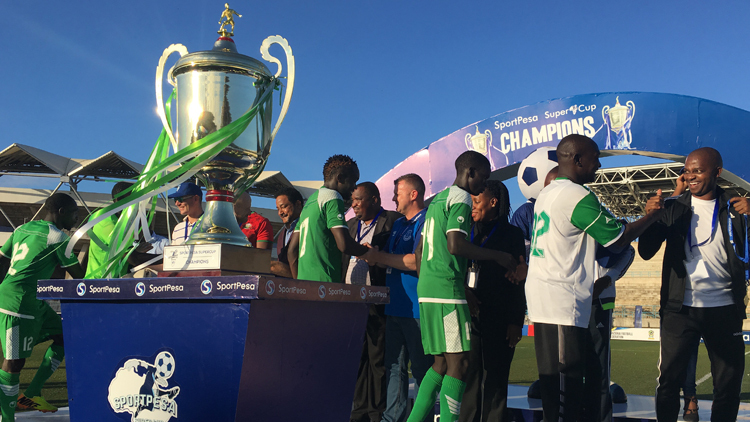 “Gor Mahia played really well and cemented the win with three good goals,” said Stuart. and can now look forward to playing us in July. 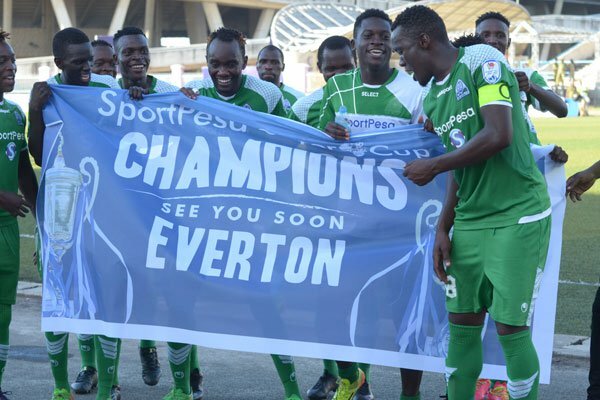 Gor Mahia are ready for Everton on July 13 in Dar es Salaam “It’s an honour to play against Everton because its a big club in the world and I’m sure we will get exposure. I’m looking to play against Lukaku because he is a top striker. As a defender, he will be a good test against me,” field captain Harun Shakava said post-match. 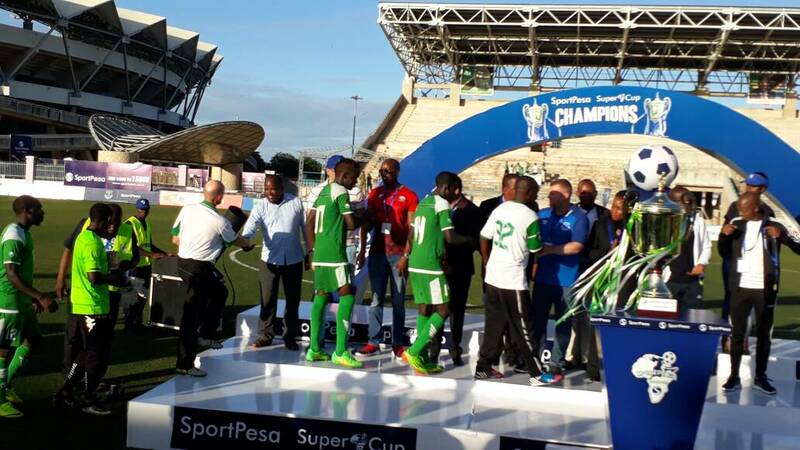 “We are happy to have to made the final with our arch-rivals but we did not expect we would beat them so easily,” Shakava said. Celebrating the win over Ingwe. 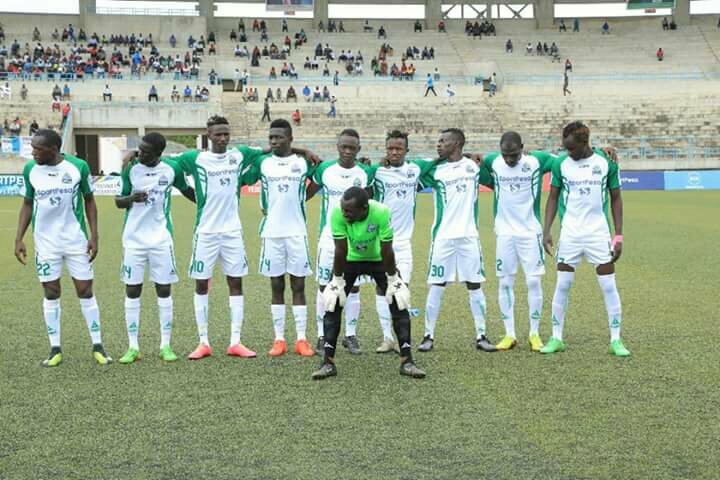 Gor Mahia line up before playing Jangombe. 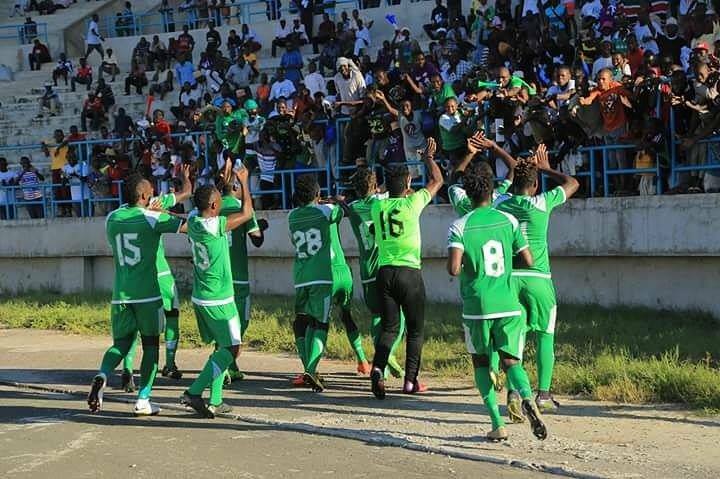 The exploits of the team in Dar are indications of the meaningful recruitment done at the beginning of the season. 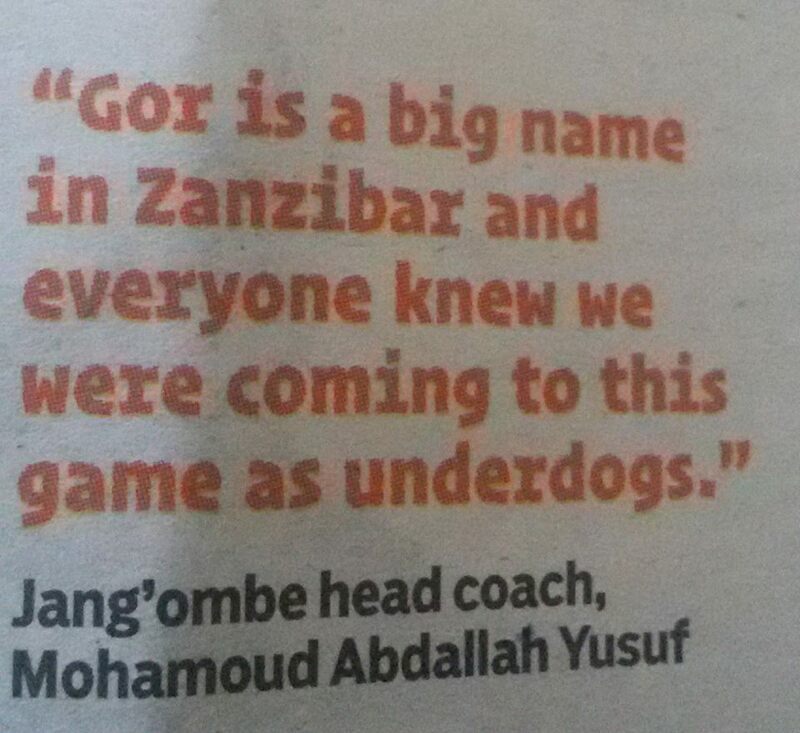 It is a pity the likes of Simiyu and Maqbul could not get a chance to play. 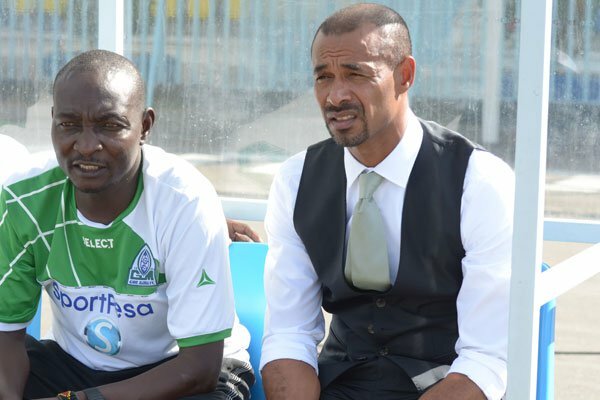 The amazing thing is that Oliver ‘Twist’ Maloba joined Gor Mahia as a free agent. Looking at his work rate and comparing him with some players who cost us hundreds of thousands and even millions, i think the only way to reward his hard work is give the lad more play time. The lad is so fleet-footed and attack-minded and my oh my, what a neatly struck goal!!! The way he manages to dance with the ball as he charges with speed at the opponent’s box reminds me of Ben Oloo yet his dances are more of ‘Twist’ than ‘Breakdance’. Having watched Blackberry against Nakuru All Stars and then in yesterday’s match I am left speechless. His early ball to Oliver Twist was no fluke. He knew exactly when to release the ball and where to place it. 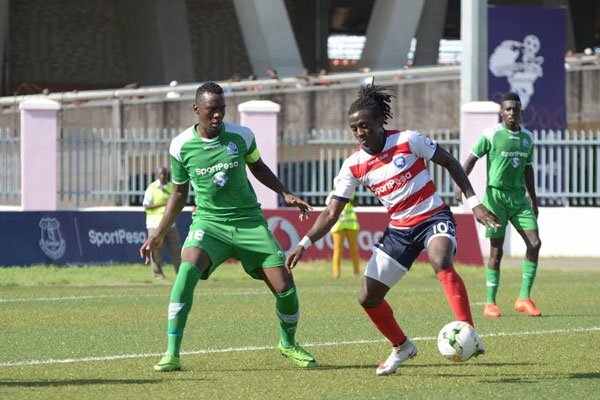 Some have opined that Ogwang’s defence conceded soft goals. Honestly all those three goals were well crafted to tear apart the defence and there is very little the defenders could do about them. I am in agreement with Jakoyo that we really don’t need any recruitment in June. Perhaps only one top notch striker. Maybe some equivalent of Abdul Razak Fiston. 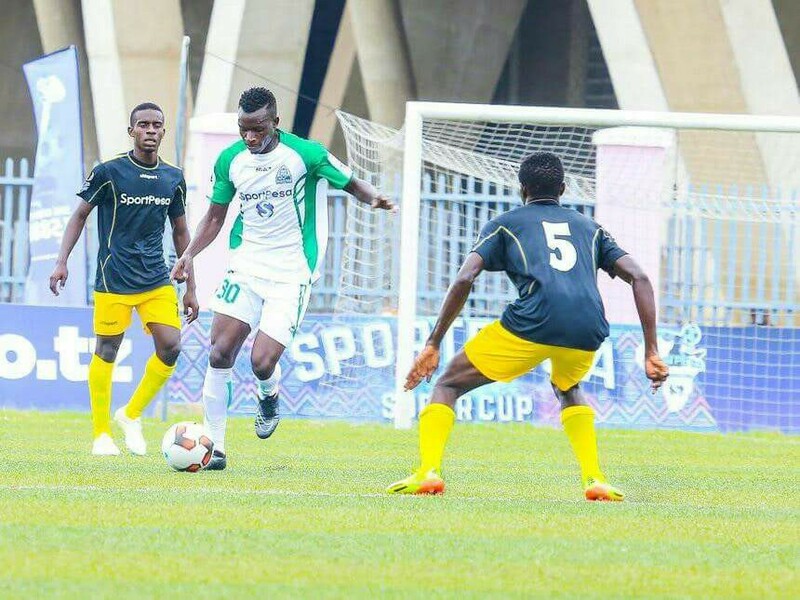 @BB, I have been a long term fan of wonder kid Maloba since his City Stars days and he deserves more playing time up and above some of our expensive imports. You talk of Blackberry and it is like you said my words for me. Most fans never appreciate him akin to Ramsey at Arsenal or Fellaini at Man U. But even at his lowest he always has this flair and ability to change the game with a single move. He looks rejuvenated and is going to be an influential player in the homestretch. There are a few others I thought I should add to your list. 1. I am one of the few fans of Wendo and I have defended him on this blog from his detractors and they are many but Philemon seems an upgrade. Wendo is solid defensively but has little else to offer. He alongside Muguna are our chiefs of the sideways and backward passing. Philemon tackles hard, has good positional sense and has an eye forthe forward pass. How many times in the last 3 games have we seen him receive the ball in our half, dance past 2 or three opponents then thread an intelligent pass to our forwards? He played ground passes, some over the top and is adept at ‘loko wing’ as we call it in local parlance. And to top it off, he received only one caution the whole game, a reflection of his tactical discipline in an area of the pitch where players get booked for a living. 2. Peter Odhiambo, @Jasego had mentioned him but I want to add small. He is good at starting the game from the back, organizes his defence well and his kicking is on point. Calm under pressure and despite his deceptively dimunitive stature is very good in the air winnng all aerial balls dropped in his zone. But what makes me most impressed by him is his ability to ‘catch shots and sleep/die with them’ Even the hardest of shots that most goalkeepers would have ‘spat’ he never spilled. 3, Antony ‘ Baggio’ Mbugua- Although he has only gotten cameo appearances most will attest that any time he steps on the pitch our midfield looks brighter. He combines a rare defensive streak with delightful creativity and should compete for the box-to-box role. On a controversial note, as we have been warned not to single out individuals, there is no reason Migi should ever be on that team sheet ahead of him. 4. John’Softie’ Ndirangu- Been an outcast but showed immense class with a beauty of a goal. Deserves more for his obvious talent. If it is the overly done madoido that is keeping him out of Ze Maria’s plans, he needs to drop it but for those of us who love a little flair, Sofie brings it to the party!! Finally, if we have a blunt attack as we have all moaned, how did we score 7 goals without reply in just 3 matches? I want the likes of Jasego, moses, jakoyo,BB, a person and others to analyse this for me. My hunch is the reduction in backpasses, more attacking intent and players expressing themselves more without the ‘micromanagement’ Your take??!! 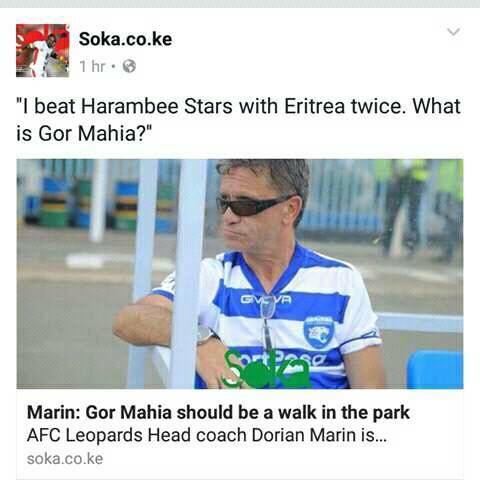 Thank you coach Dorian for admitting that Gor is on a class of his own and that you could not match the Mighty Kogalo….By admitting that the beating was fair, you are good coach. Next time talk after the match. I blame your employer for not telling you the truth that History always repeat itself.In 1985 all the six 11 eleven were not present and yesterday eight 11 eleven were on national duty….Let the players be paid any outstanding dues with immediate effect. My one million question is very a simple one. The burning issue is whether Ze Maria has learnt anything from JO-DALA or NOT? We can talk of formation.tactical approach, individual players ratings, blaah…. blaah…. blaah…? But the only distinct element was that someone in the name of ZICO will be stalking at Ze Maria unless he changes tact and become more aggressive on the touchline. The Trailer you have a pregnant point. My fear is that Ze Maria is too blinded by his giant ego and pride that he won’t take any note of the statement that Zico has made. Mine is a simple question: did Ze Maria deserve to lifted aloft by the celebrating players? If so then what does Zico deserve? I think they were only observing protocol otherwise Zico indeed deserved the hoistiing more than any other person. 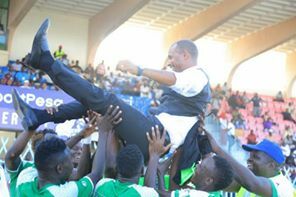 @ Barefoot and Ogango ….as the head coach and being present he deserved all the proceedings. ..
@ Wuod Suba my comrade and with all due respect i would like you to know that i have no grudge or some hard feelings against Ze Maria as the head of TB. But my only beef with him is that his key performance indicators are very wanting such that at time i rate him very low on his performance score card. That is why @jakoyo was wondering whether we need to inject more players or “TWEAK” the TB? And @Musymo has just concluded his personal observation with a strong word…”MICRO-MANAGING”. How about @BB summarizing his character as a giant EGO-CENTRIC and full of pride. 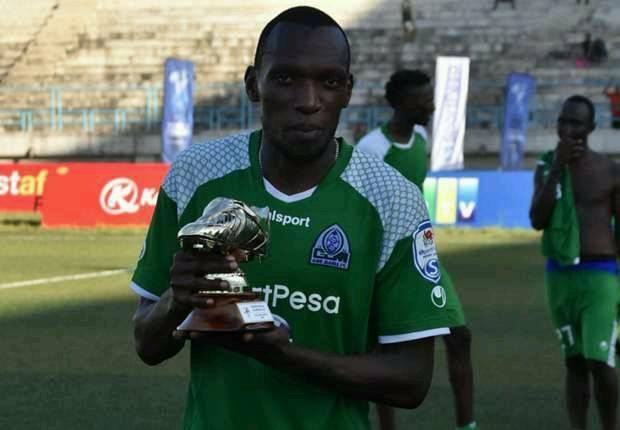 He arrived yesterday in Dar from Brazil with only four hours to the kick-off time and gate crushed into ZICO party with no mercy at all after his blue-eyed boy Fantoni a.ka. ONYANGO Ja-ITALIA informed him that THINGS MIGHT FALL APART. 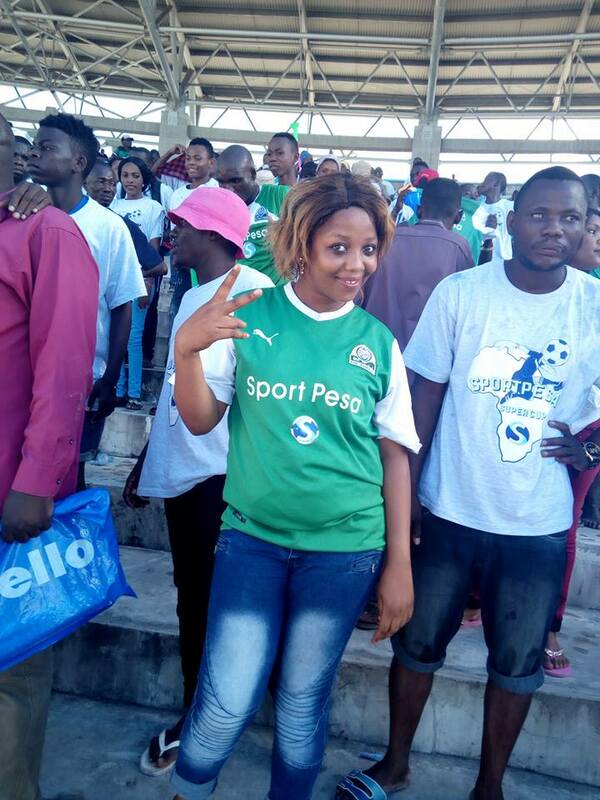 This was a SPORTPESA marketing strategy and even INGWE’s Doreen Maureen was wearing the famous Efusi jersey branded with Sportspesa including his assistant and so was ZICO plus JOLAWI; but what about Ze Maria; i heard Commentators jokingly referring to his attire as “SUITED & BOOTED”. @ Wuod Suba, Ze Maria must change his attitude and style up. No more fashion shows or cat walks on the touchline. He saw ZICO being given his marching orders because of his demands for fair play while his presence at the touchline was just but a stature. WE WANT TO MAKE HIM A GOOD COACH FOR GM. Honestly when i saw Ze Maria at the coachline, I shed tears because it was Zico project not him. As the head coach, there was nothing zico could have done. I said it before no coach can pass off the chance of leading his club against the “blues”. That what brought Ze Maria back. 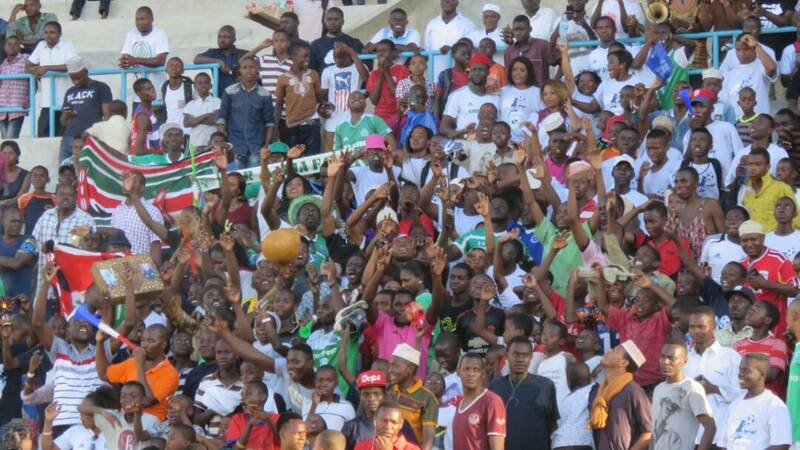 Guys let’s focuss on the bigger picture glory belongs to K’Ogalo. 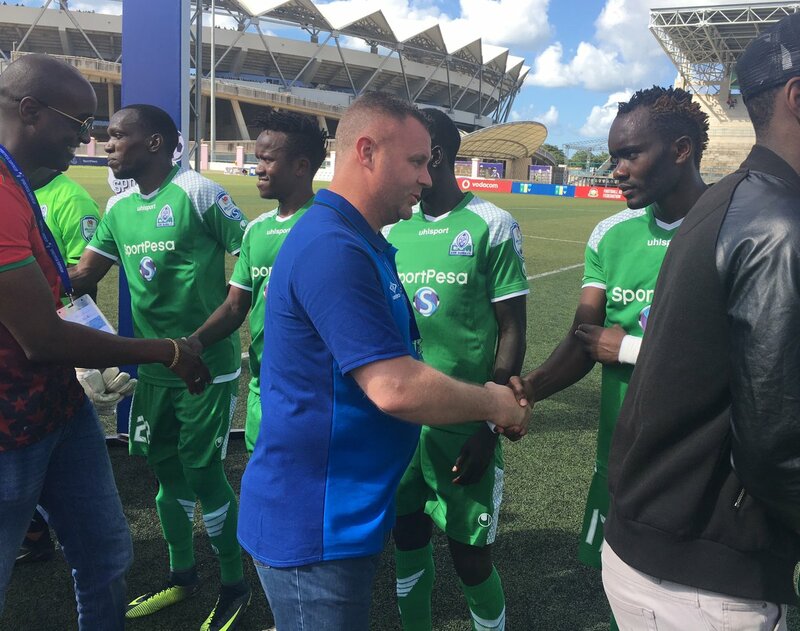 1)GMFC will now be the premier club as far as carrying the SportPesa brand in Africa 2)We can attract better coaches e.g Mike Mutebi at more competitive salaries 3) We can attract better quality players.Note John Bocco moved to Simba on a tshs.48M(kshs.2.2M) transfer fee & tshs.2M (Kshs.190k) monthly salary.We can even bring back Calabar & Akumu. I have never heard of Ze Maria mentioning CAF tournaments, this is a head coach who cannot identify players on his own. 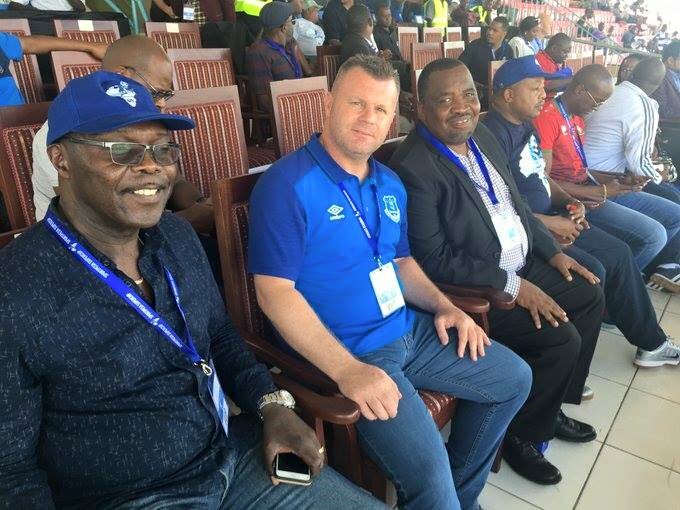 How did Ze Maria get to Dar, He must have travelled with EC who went to watch the match. ZE MARIA MUST PROVE HIMSELF BY WINNING TROPHIES. FOOTBALL IS ABOUT WINNING TROPHIES LOCAL,REGIONAL & CONTINENTAL. 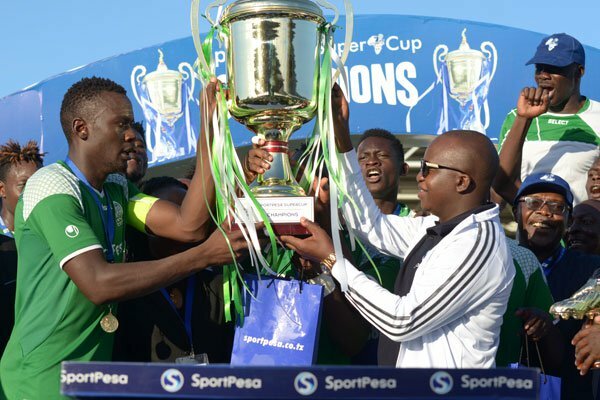 Lastly H/stars will always struggle if FKF does not focuss on CAF club tournaments as building blocks for Cup of Nations. @ ODUOR if at all that is the case that he traveled with EC to Dar then why not make him a Technical Director and give way to ZICO to head the TB so that we can put this issue to bed once and for all. THE GHOST of SPORTPESA / ZICO IS THE BIGGEST HEAD-ACHE IN GM JUST LIKE independent CANDIDATES in 2017 ELECTIONS. ZE MARIA rigged out ZICO in the final match day. It is very dishonest to let someone do the donkey work and you appear like flash in the pan in the 11th hour to carry all the glory as if you master-minded the team success. ZICO ndio ame dunga mimba na SPORTPESA glory will remain his whether Ze Mari flew direct from Brazil or Via NBI with the EC. @ogango trailer, you are spot on bro. 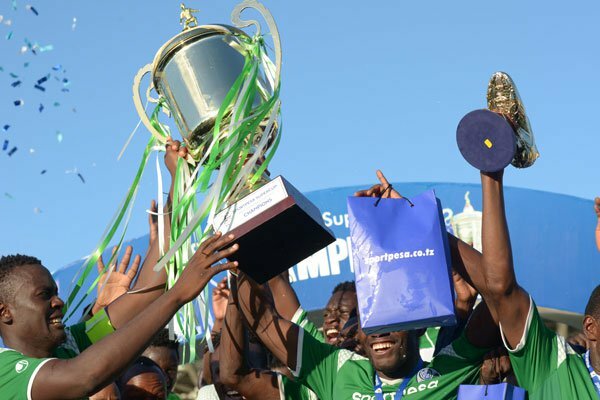 First, my take on transfer business is that we simply loan out simiyu, maqbul, nondi, bernard odhiambo and jeconiah uyoga to other clubs where they can play competitively week in -week out. Second, In as much as i am great fan of teamwork , team play and team cohesion, anti -racism, respect for diversity etc etc etc. Nothing personal against ze maria but his actions on the last match day were disrespectful and can be treated in bad taste. First, he should have not just flow from nowhere on the last day and claimed credit the way he did , at least he should have mentioned Zico somewhere in his congratulatory message . Secondly, the man should have the decorum to wear a sportpesa branded jersey, how do you appear in a three piece suit on a fully sportpesa sponsored event ? Some of his mannerism is what makes people wonder whether this guy really understands the meaning of integration. Lastly, On a different note, If Everton send their team B or reserve team or youth team, I think we should hit them back with youth team. Upumbavu hatutaki Kogallo! Na wasituletee! Shakava wants to mark Lukaku and that wish should be respected. The Hull City stupidity is what they should not try out. We must not be denied our right to feel what a Chelsea or Liverpool fan feels when playing Everton. @ jakoyo for fear of humiliation that is exactly what EVERTON will do. 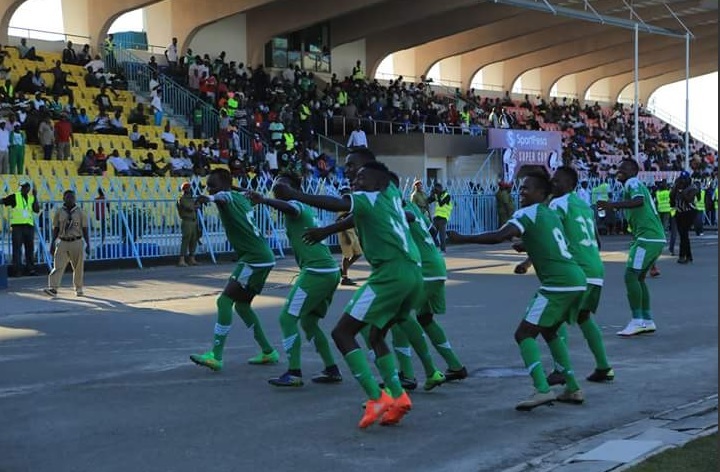 To deny K’Ogalo any bragging that they played their senior team. I would prefer the same team with Zico minus the international absentees and Ze Maria to face their team B. But if they at all its their entire senior team then let GM also be full house. One of the rare occasions where I agree with this EC is to unlike in Afc Leopards stand with the coach especially from quarters who for reasons best known to themselves have convinced themselves that football is not such a complex game and that the cacophony of noises from the stands should and must be taken into account when technical decisions are made , for now Zico who respectfully is a good coach is getting accolades and praises to a point where a casual observer will not remember that Zico was a coach at Gor not so long ago with his own limitations and challenges. I think any player would accommodate the description of a rabbit than a monkey. I sympathize with Efusi. It is just not working for them. What next when a white coach chooses to describe his black players as monkey? I am not very sure who will be coaching Efusi when we host them in the KPL return leg. 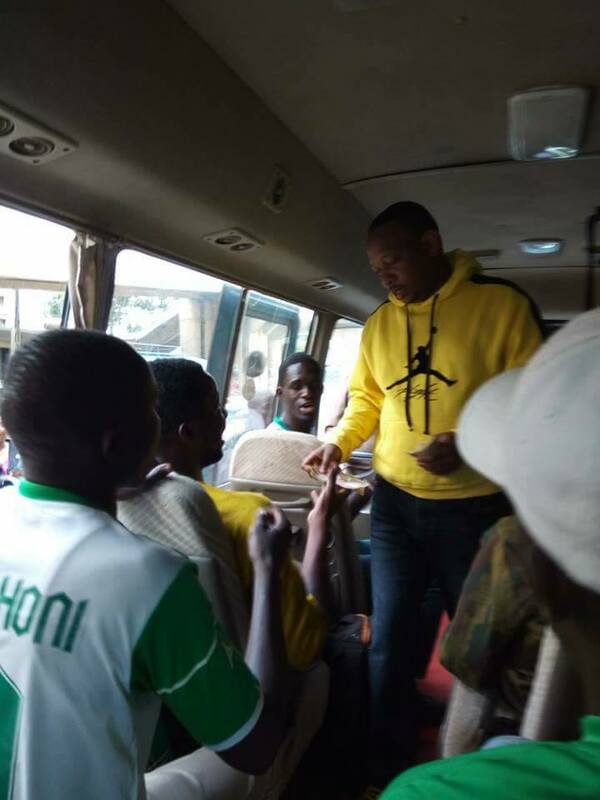 This Man Dorian should not be allowed to coach any team in Africa leave alone Kenya.By describing his players as money is an abuse of the highest order.He is belittling the same people who brought him here and a serious action should be taken against him immediately. If you go to India and meet an indigenous Indian, he will refer a black man as monkey simply because he believes that black man is in the same race with monkey. Now this man again come to Kenya and calls us monkey. Let me tell him that what AFC has achieved before he came to Kenya, he will never reach. Why calling his fellow coach names? Was there any interview conducted before his employment? Management should do something about this man or else Am going to petition the government to send him to where he came from. @ wuod suba, go easy bro. I think what Dorian meant was that his team was ‘silly’ hence the term monkey. How will the efusi players react ? But yes, I agree with you that the word monkey should not be used freely anywhere in Africa as it is always perceived to be derogatory of black people.he should have known that…..